Feng Office has transformed the way businesses and organizations work, by combining team collaboration, planning, documentation, and automated processes. By empowering teams in the planning and execution of their projects and service processes more efficiently, Feng Office helps managers achieve significant savings in both time and money. Our customer base is growing rapidly, so we have partnered with highly knowledgable integration and development companies, to help our clients get the local assistance they need. Isiete is a certified Feng Office partner in Spain. They distribute Feng Office and provide complimentary services such as: Training and consulting sessions, custom developments, Technical support, and version upgrades. 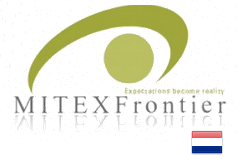 Mitex Frontier is a certified Feng Office partner in Netherlands. They distribute Feng Office and provide complimentary services such as: Training and consulting sessions, Technical support, and version upgrades. 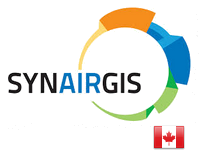 Synairgis is a certified Feng Office partner in Canada, located in Quebec. They support the implementation of Feng Office systems within organizations and offer a range of complementary services such as: training and coaching sessions, provide and delegate support solutions and version upgrades. Developer of Native mobile Apps for Feng Office (for both iOS and Andrioid), located in Vienna, Austria. LiquidOffice has developed Liquid Notes, to manage your Feng Office Notes on your mobile. Interested in becoming a Feng Office partner? Drop us a line and tell us more about you!